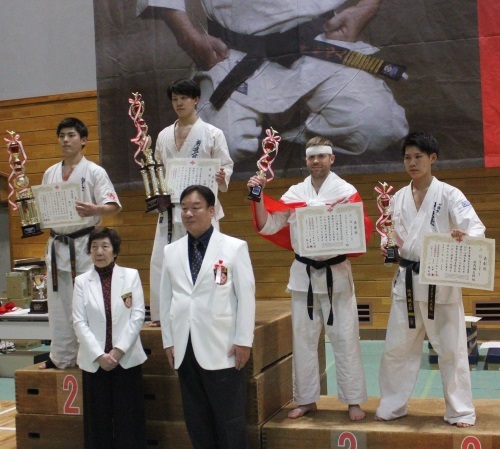 On March 17th 2019, Fukuoka hosted the 3rd World TEZUKA Kyokushin Kaikan Championships. There were 400 fighters from 19 countries. 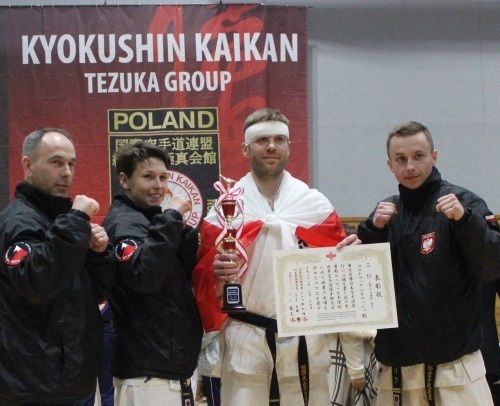 President Joshimichi Mori 8th dan invited three representatives of OYAMA Polish Karate Federation to participate in a tournament: Angela Szulc (senior woman lightweight category), Jakub Kowalik (senior man lightweight category) and Mateusz Kosturek (senior man middleweight category). Sensei Dariusz Szulc 4th dan performed the duties of a team coach. Shihan Eugeniusz Stanislawek 7th dan, president of European Kyokushin Kaikan TEZUKA Group was the head of the national team. The Polish fighter Mateusz Kosturek, in the good style, won the 3rd place. Our other fighters fought well but lost against the hosts by judges decision. Our sincere thanks and congratulations, OSU! 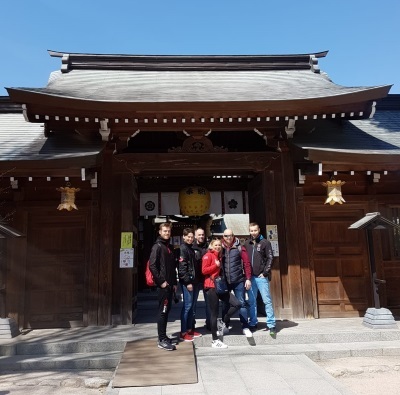 In spare time Polish Team visited both modern and historical parts of Fukuoka accompanied by the blooming cherry trees.